The River Elbe (or ‘Labe’ in Czech) is a central European river that has its source in the Czech Republic before flowing through Germany to its estuary into the North Sea. The Vltava, the Saale, the Havel, the Spree, the Elde and the Müritz are among the best-known bodies of water in the same area. It’s not completely clear how the Elbe got its name. It could have something to do with its Latin name, ‘albia’, which means something like ‘light water’. This would also explain why the river’s name is feminine in German, as the Latin name ‘albia’ is also feminine. Another, more mystical possibility is that the name refers to there being elves (‘alb’ in Middle High German) scurrying around in the mist between the pines. And it’s always a bit mystical around here. National park, conservation area or Biosphere Reserve? "The Elbe is one of the few rivers in Europe that remains natural. The cycle path doesn’t always follow the flow directly; sometimes, it leads through rocky landscapes, meadows and wide floodplain woods, which have become homes for rare animals and plants." The source of the Elbe is in the Krkonoše Mountains National Park in the Czech Republic. Around 1,386 metres above sea level, water from many small source streams gathers to create a spring. Nearby, you will see the coats of arms of all 26 states through which the Elbe flows. The last few metres up to the source itself are not accessible by bike, only on foot. In this area, there are two national parks in one stretch. The Saxon Switzerland National Park and Bohemian National Park sit peacefully side by side as neighbours. Both are characterised by rich forest and mountain landscapes with bizarre rocky outcrops, deep ravines and gorges. This UNESCO conservation area encompasses around 400km of the Elbe from Saxony-Anhalt through Brandenburg, Lower Saxony and Mecklenburg-Western Pomerania to Schleswig-Holstein. 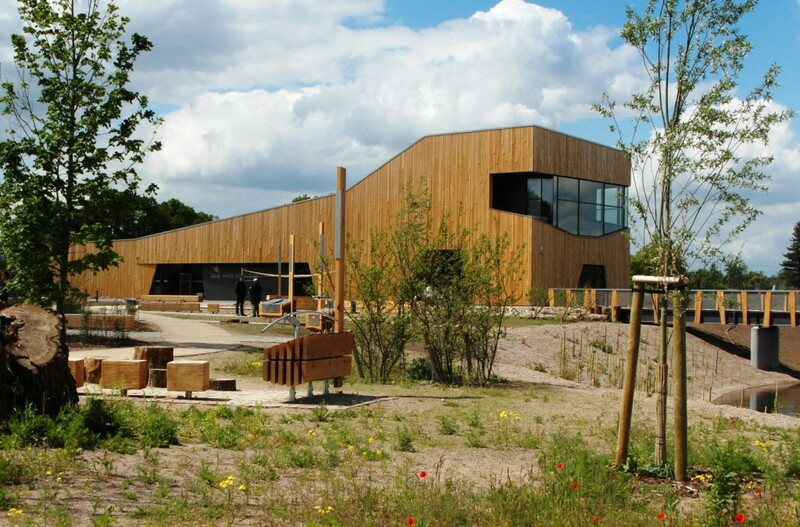 The NABU natural conservation centres in Blumenthal bei Burg and in Buch, the Ronney environmental centre, the ElbSchloss Bleckede, the Burg Lenzen visitor centre and the NABU visitor centre in Rühstädt offer special leisure activities and guided tours for nature lovers. From the rich bird population of the Elbe floodplain, the densely forested Lauenberg conservation area and the ‘Altes Land’ agricultural landscape to the Wattenmeer National Park, there’s plenty to discover as you pedal. Especially in the north, you will often come face to face with herds of sheep. The animals keep the grass short, leaving a perfectly manicured lawn. This is important for the care and maintenance of the dikes. It starts in a national park - the Krkonoše Mountains, and ends in another - the mud flats of the Wattenmeer. The Binnenelbe ends at Cuxhaven and then flows through the mud flats into the North Sea as the Außenelbe. The Elbe is one of the longest rivers. At average flow, the Elbe’s waters take around eight days to get from the German-Czech border to Geesthacht near Hamburg. Along this 586km barrage-free stretch, water speed averages around 3km per hour.